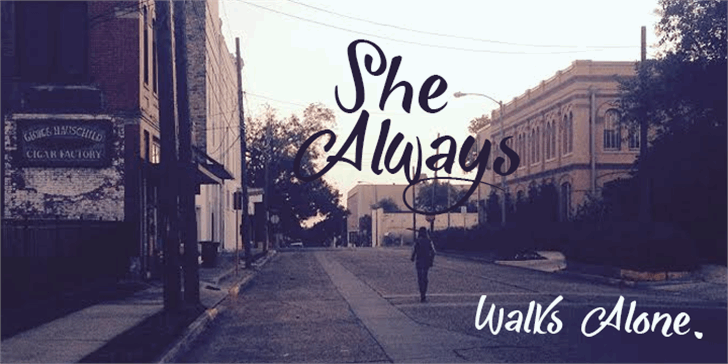 SHE ALWAYS WALKS ALONE DEMO is a demo version of a quirky brush font. Also feel free contatct me if you have any questions or feedback. This font is really interesting. Looks really good. @Sikorus Thank you I am glad you like it. Copyright (c) 2015 by Roland Hüse. All rights reserved. This is a demo version. Free for personal use only.